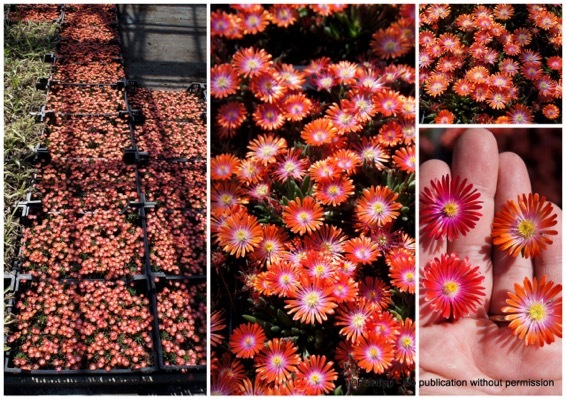 The Jewel of Desert Delosperma are an absolute breakthrough. 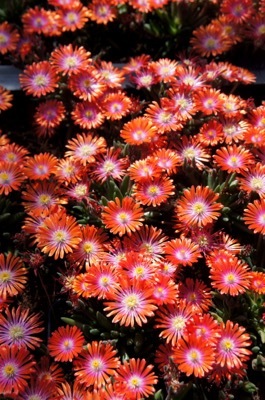 A new generation of Delosperma that bloom extremely long from spring until frost occurs. The Jewel of Desert-series consists of all sorts of colours. 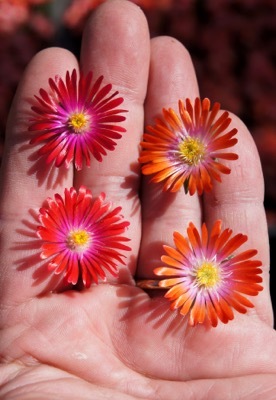 Jewel of Desert Sunstone has bright orange flowers with a purple centre. 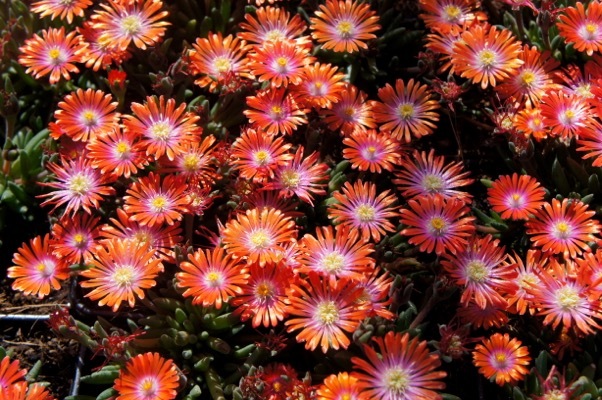 The plant can stand drought very well and is hardy. Sunstone becomes 6" high and 20" wide. Loves the sun.